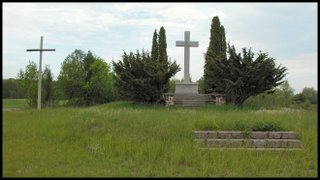 To reduce the slight confusion I introduced by posting two separate photos of the crosses at the site, here is a photo showing both. 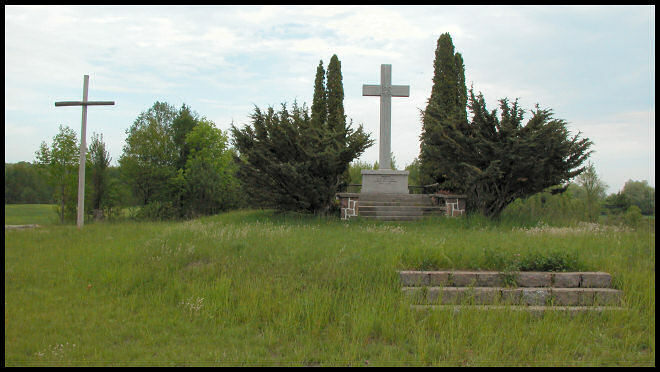 I saw the cross you are referring to, I think, when I was driving back down from the site of the two crosses. It is white and a good size, somewhat overgrown, but right beside the road in the corner, as you say.